Important Study materials for classes 06, 07, 08,09,10, 11 and 12. Like CBSE Notes, Notes for Science, Notes for maths, Notes for Social Science, Notes for Accountancy, Notes for Economics, Notes for political Science, Notes for History, Notes For Bussiness Study, Physical Educations, Sample Papers, Test Papers, Mock Test Papers, Support Materials and Books. Helpful study materials in easy way. You will get here other study materials like Previous Year Papers, CBSE Sample Papers, CBSE Notes, Unit Test Papers, Worksheet, Assignments for classes 06, 07, 08, 09, 10, 11 and 12. You can also get here Solutions of important question for examination, that helps you gain your score. All materials are available in easy language and easy to understand. These are very helpful for exams. 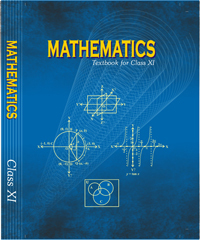 NCERT Maths book for CBSE Students.